I am heartbroken. I can’t possibly compose an introduction to this blog as well as Arthur Martine, the author of Martine’s Sensible Letter-writer: Being a Comprehensive and Complete Guide and Assistant for Those who Desire to Carry on an Epistolary Correspondence, might have done. 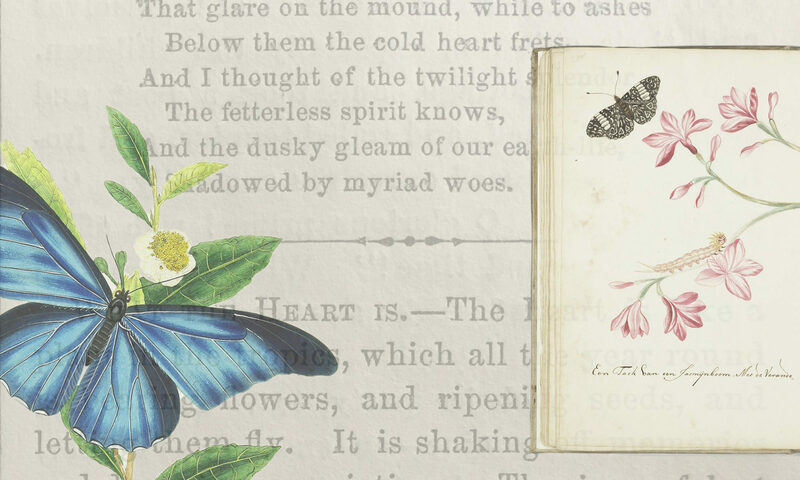 He would write something rapturous such as, it is my ardent hope that these delightful letters and Victorian Valentine cards proofs, which I located in the New York Public Library Digital Collection, leave an indelible impression upon your gentle mind. Please let me impress upon you that if you find these images to your kind heart’s satisfaction, you may find great joy in downloading high-resolution TIF versions of these images and many, many more, which you may use to express your fervent admiration for another. Pearl St., New York, March llth, 18—. My Dearest Maud,—I am off, to-morrow, and yet not altogether, for I leave my heart behind in your gentle keeping. You need not place a guard over it, however, for it is as impossible that it should stay away, as for a bit of steel to rush from a magnet. The simile is eminently correct, for you, my dear girl, are a magnet, and my heart is as true to you as steel. I shall make my absence as brief as possible. Not a day, not an hour, not a minute, shall I waste either in going or returning. Oh! this business! But I won’t complain, for we must have something for our hive besides honey—something that rhymes with it—and that we may have it, I must bestir myself. You will find me a faithful correspondent. Like the spider, I shall drop a line by (almost) every post; and mind, you must give me letter for letter I can’t give you credit. Your returns must be prompt and punctual. Wall St., New York, Oct . 5th, 18—. My Dear Miss,—I am accustomed to speak plainly, and know little of the niceties of etiquette. Do not think the worse of me for opening my heart to you abruptly, without any preliminary flourishes. There cannot be anything offensive, I hope, in the candid declaration that I love you. If you will give me the opportunity, I will endeavor to prove my affection by devoting my whole life to the promotion of your happiness. I should regard the pleasure of calling you my wife as the greatest that earth could afford. Chicago, Iii., Sept. l0th, 18– My Dearest Kate,—This sheet of paper, though I should cover it with loving words, could never tell you truly how I long to see you again. Time does not run on with me now at the same pace as with other people; the hours seem days, the days weeks, while I am absent from you, and I have no faith in the accuracy of clocks and almanacs. Ah! if there was truth in clairvoyance, wouldn’t I be with you at this moment! I wonder if you are as impatient to see me as I am to fly to you? Sometimes it seems as if I must leave business and everything else to the Fates, and takes the first train to New York. However, the hours do move, though they don’t appear to, and in a few more weeks we shall meet again. Let me hear from you as frequently as possible in the meantime. Tell me of your health, your amusements and your affection. Wednesday, Oct. 20th, 18– Dearest Jane,—The delightful hours I have passed in your society have left an impression on my mind that is altogether indelible, and cannot be effaced even by time itself. The frequent opportunities I have possessed, of observing the thousand acts of amiability and kindness which mark the daily tenor of your life, have ripened my feelings of affectionate regard into a passion at once ardent and sincere, until I have at length associated my hopes of future happiness with the idea of you as a life-partner in them. Believe me, dearest Jane, this is no puerile fancy, but the matured result of a long and warmly cherished admiration of your many charms of person and mind. It is love—pure, devoted love: and I feel confident your knowledge of my character will lead you to ascribe my motives to their true source. Dear Henry,—I have just perused your too flattering letter, and, believe me, I feel so excited that I scarcely know how or what to reply. You cannot but have observed that the favorable impressions I received on the night of our first meeting, have gradually deepened as our intimacy matured, and it would be false modesty in me now to disclaim a feeling of the sincerest and most affectionate regard-for you, after such undoubted proofs of your attachment. Dear Henry, my heart is yours. Need I say more than that your proposals to my parents will find a warm and not uninterested advocate, in one to whom the acceptance of them will be happiness—their rejection a misfortune? Walnut St., Philadelphia, Dec. 2d, 18—. Sir,—I have heard of your flirtations since you have been at New York. In fact I have been told that you were false enough to deny your engagement to me, in the hope of making yourself more acceptable as a beau to your new lady acquaintances. Under such circumstances I am quite willing to release you from all your promises. You are free, sir! I have no inclination to share your affections with half a dozen others. Nothing less than a whole heart will satisfy me. My Dear Gussie,—You have been imposed upon ; by whom I know not, but unquestionably by some one who has a grudge against me. I have never since our engagement paid more attention to any lady than ordinary politeness required. My heart has never wandered from you for a moment. Dismiss such groundless suspicions from your mind. Your letter has wounded me deeply. To break off our engagement would be to render me the most miserable of men. I am willing that the strictest inquiry should be made into my conduct, for it will bear the closest scrutiny. Dear Frank,—No letter again! You are really growing intolerably negligent, and I shall begin to think that you are getting tired of me, and that some new attraction is in the field. Knowing how anxious I am respecting your health and welfare, I am sure you will give me the credit of not writing from idle jealousy, although really I feel grieved and anxious at your unusual neglect. I have no news just at present—indeed, I am too much out of spirits to write at any great length. Pray hasten to remove all doubt from the mind of one whose thoughts, day and night, are upon you only. No. — St. Luke’s Place, Oct. 3d, 18—. My Dear Lucy,—It is with pain I write to you in aught that can seem like a strain of reproach, but I confess that your conduct last night both surprised and vexed me. Your marked approbation of the attentions paid to you by Mr. Walters was as obvious as your neglect of myself. Believe me, I am in no way given to idle jealousy—still less am I selfish or unmanly enough to wish to deprive any lady on whom I have so firmly fixed my affections, of any pleasure to be obtained in good society. But my peace of mind would be lost forever, did I believe that I have lost one atom of your affection. Arch St., Philadelphia, Oct. 22st, 18—. My Dearest Kate,—How grieved am I that you should think me capable of wavering in my affection toward you, and inflicting a slight upon one, in whom my whole hopes of happiness are centered! Believe me, my attentions to Miss Hamilton were never intended for anything more than common courtesy. My long acquaintance with her father, and my knowledge of her amiable character—as well as the circumstance of her being a comparative stranger to the Howards,—such were my sole reasons for paying more attention to her than I might otherwise have done.